Fly Cape Town to George, sleep 1/2 nights in Mossel Bay or George, drive to Knysna / Plettenberg Bay via Oudtshoorn. Stay 1/2 nights in Oudtshoorn / Knysna / Wilderness or Plettenberg Bay and then fly out. Possible Activities: Caves in Mossel Bay, hiking, scenery, beach, Ostrich palace in Oudtshoorn, Cango Caves, Featherbed Nature Reserve and Lagoon experience in Knysna, Monkeyland and Birds of Eden in Plettenberg Bay, Gorge swing / bungee jumping at Blouwkrans bridge, canopy tour in Storms River. Fly Cape Town – George, sleep over in Mossel Bay or George for 2 nights. (if you only have 3 days then spend just 1 night in Mossel Bay). On Day 3 leave early to drive to Oudtshoorn for the day and on to Knysna. Sleep in Knysna. Day 4 Spend the morning in Knysna and then head East to Storms River.Stop at the Blouwkrans Bridge for Bungee Jumping or the Gorge Swing. On the Storms River for the night. Day 5 – Do the Canopy Tour or take the drive through the Forest before you head east from Storms River to Port Elizabeth. Drive Cape Town to Oudtshoorn, if you leave Cape Town early enough you can fit in the Ostrich farm in the afternoon. Sleep in Oudtshoorn. Day 2 do the Cango Caves and the round trip up the Swartland Pass to Prince Albert and then back through Meiringspoort. Day 3 Go to Knysna and visit the Featherbed Nature Reserve and go on the lagoon. Day 4: If it is between July and November you could go whale watching. Otherwise you can simply go on an Ocean Safari. Sleep over in Knysna. Day 5 – travel east and, depending on your interests, stop at the Blouwkrans Bridge for bungee jumping / gorge swing or on to Storms River and do the Canopy Tour or a tour through the forests. If you start the day early enough you can get to Port Elizabeth and fly out or stay over. Day 1- Cape Town – Mossel Bay – sleep 1 night in Mossel Bay. See the Old Post Office Tree, the Dias Museum, walk up on the cliffs at Pinnacle Point and perhaps visit the archaeological site. Day 2 go through to Oudtshoorn, visit Cango Caves and one of the ostrich show farms. Sleep over in Oudtshoorn. Day 3 Do the round trip up to Prince Albert over the Swartland Pass and back through Meiringspoort. Sleep in Oudtshoorn. 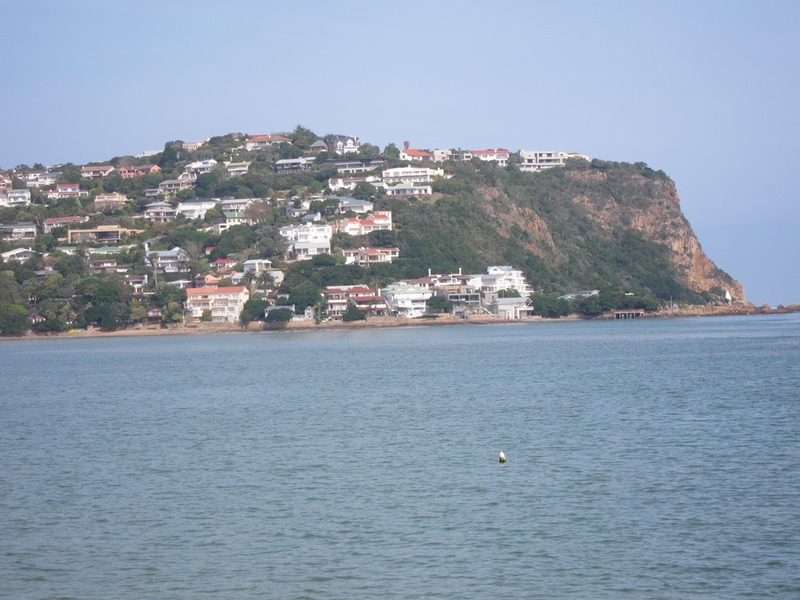 Day 4 Oudtshoorn to Knysna – Featherbed Nature Reserve, Sailing on the Lagoon, whale watching / ocean safari – sleep Knysna. With more days to spend in the Garden Route and Klein Karoo you can take the 6 day itinerary and spread it out – do 2 or 3 nights in each place as there are many more activities not mentioned in this booklet. Every town on the Garden Route is special and offers a great experience. Alternatively just relax and be and have a leisurely trip rewarded with so much scenic beauty, glimpses of life in the quiet lane and adventures to look back on with nostalgia. On a more relaxed trip stay over in Wilderness and enjoy the wonderful beach and the views.